Prepare Your Website to Meet the World. Expand your Business and Reap Results. Website localization is much more than simply translating a website’s content. Would you like your customers to interact with your website in a natural and meaningful way? We’ve got your covered. We localize all your digital content including multimedia, videos, mobile and web apps, specialty graphics, illustrations, eBooks and much more. In our website localization services, we first break down the language barrier so that you can target people from around the globe. We also make the content culturally appropriate for different geographical markets. We pick up little details that matter most. Is this picture appropriate? Does this design include colors that have meaning to people? Are we using the correct linguistic catch phrases? Is the multimedia strategy interactive enough? We constantly ask ourselves these questions at each step of our website localization service. Marketing Content and Localization: eBooks, blogs, banners, web copy and much more. 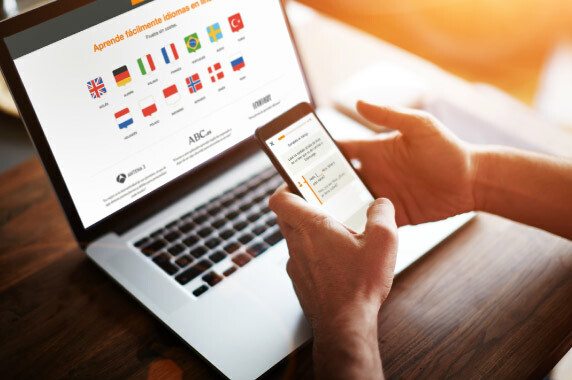 Our website translation service gives you only the highest quality of translation that clicks with your audience while keeping your content’s originality. Graphics and Desktop Publishing: Our desktop publishing experts and designers adapt your digital assets and make them culturally appropriate. Multilingual SEO: Get found globally! We implement SEO on a global scale for you by executing a custom SEO strategy during the localization process. Video Production and Localization: We have experts that engineer and work with all video and audio formats such as Flash, HTML5 and other media files. Testing: We ensure that the localized website works exactly like the original with functional testing. This includes linguistic check for accuracy and consistency of the translation after building the website. The simple yet meticulous process in our website localization services ensures quality and timely delivery. We cover each job in three parts with a custom localization strategy. Outlining your business requirement and shortlist languages. Working closely with you to create a project workflow and a plan. Extracting the translation text, estimate word count and time of submission. Creating a company-specific TM (translation memory) to save the translated content. We begin website localization by translating the content. A qualified linguist translate the content while keeping it culturally appropriate. A senior linguist review the translated text to ensure it is contextually correct for the target audience. Once the translation is approved, we review and test the files. Our QA & linguistic team work together to ensure that your website works perfectly. Double checking style, consistency and fluency of the localized website. Ensuring the multilingual versions technically perform and behave the way they should.